His role model is Rick Ross. P.O is the funniest member. When EunB (Ladies’ Code) died, he was devastated. ecause they were classmates in high school. His skills are writing and rap. His ideal type is F(x) former member, Sulli. His favorite snack is Nachos. P.O is the only member who does not have a twitter account. He is afraid that one day he will post bad things. But sometimes he uses Block B’s official twitter to make a statement. As a child, his ambition was to become a president. P.O likes to bring his MP3 Player wherever he goes. P.O is the most mischievous member. The name of his fandom is Charm. He is very shy towards any woman who is nearby. He appeared in the music video Kye Bum Zu “Something Special” along with Yoonjoo and Lime Hello Venus. He is often compared to T.O.P Big Bang because they have similarities such as deep sound, appearance and also the same past (they both had more weight before debuting). According to the news, P.O’s parents are the owners of Seven Season (agency Block B). Block B is known as one of the boy groups with a unique style, including thier members, concepts, and unique songs within the hip hop genre. Bastarz is the first sub unit formed in Block B with a three members formation. 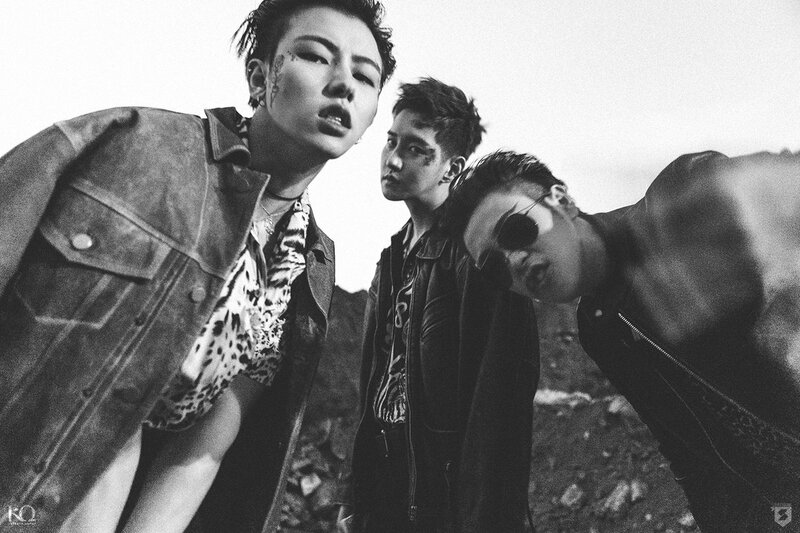 The selection of members to enter into the sub unit called Bastarz is very unique. Block B members create a game to determine who will enter the sub unit. They have two balls, red and blue. Any member who chooses a red ball will enter the sub unit, and members who get a blue ball must still support members who enter into the sub unit. This way, the process is fair and no member feels alienated or feels like they do not have the same ability as members who are elected into sub-unit. B-Bomb, U-Kwon, and P.O are the members who managed to get a red ball and into the sub unit called Bastarz. Bastarz debuted in April 2015 with their mini album titled Conduct Zero. The mini album that they released has six songs, Zero For Conduct became their main song to do the promotion. All the songs that are in the mini album are a creation of Maknae P.O except the song Nobody But You. Also, Bastarz’s date and month of debut is exactly the same as Block B’s debut on April 14th. In addition to releasing in Korea, they also launched it in Japan, but in the form of singles instead of mini albums and they released in September 2015. On October 31, 2016, the sub-unit finally returned with a new mini album entitled Welcome 2 BASTARZ, with their main song Selfish & Beautiful Girl. Do EXO Members Smoke? Find Out Which Members Were Caught Smoking!